Hazl and I are huge basketball fans. If you didn't know, we both played basketball since elementary school. Honestly, basketball even got us through college. Basketball became an important part of our life and simply, we still love the game. This weekend I am in Toronto, Canada for the All Star festivities all weekend long. 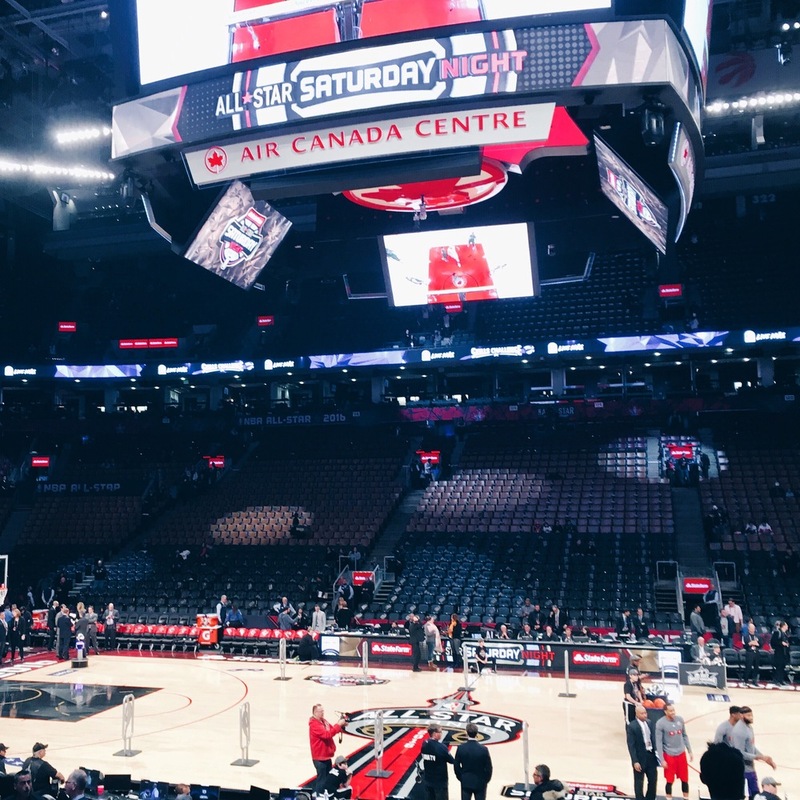 Although it is freezing in Toronto, (literally) it has not stopped the fun filled weekend of basketball. Last night, hands down, I watched the best dunk contest EVER. I hope you guys got the chance to witness last nights dunk contest but if you did not, you got to youtube it! I got to say Levine is ridiculous, the kid just soars in the air. But I must say I was super impressed by Gordon - this kid gets up there.The three point contest was exciting too even though we all knew it was going to be won by one of the "splash brothers." Even though Curry is my favorite, I have to give it to Klay Thompson, his shot is just so pure and pretty - nothing but net baby! Tonight is the All Star game and I'm pretty excited to watch the best of the best take the court. Stay tuned!